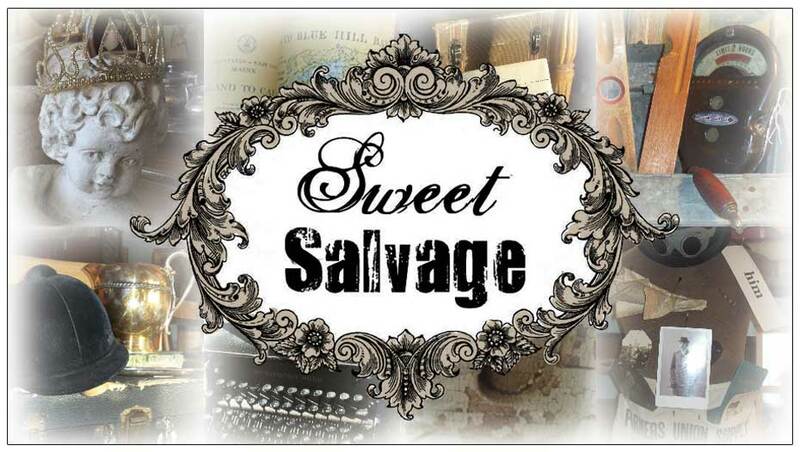 In February 2012, Sweet Salvage put on the "Romancing the Home" event. Kim, a long time collector and fan of the romantic floral artist Christie Repasy, knew she was the perfect choice to be our special guest for this event. Christie graciously accepted the invitation and filled Sweet Salvage with her signature floral works of art. We will never forget how she jumped right in with the Sweet Gang to help provide outstanding customer service. Our Sweet Guests came from near and far to meet her and take home their own Christie Rapasy work of art. It was a magical show. This month for our Chapter 2 Event, Kim has created a stunning vignette as a tribute to Christie and several pieces of her original artwork will be available. Christie is not only an amazing artist, she also teaches her painting techniques and hosts her own fabulous vintage market in Rainbow, California called The Vintage Marketplace at "The Oaks". You can find out more information about her upcoming events, artwork and classes at www.christierepasy.com. Thank you Christie for your continued friendship, support and beautiful romantic cottage style that is so uniquely you.